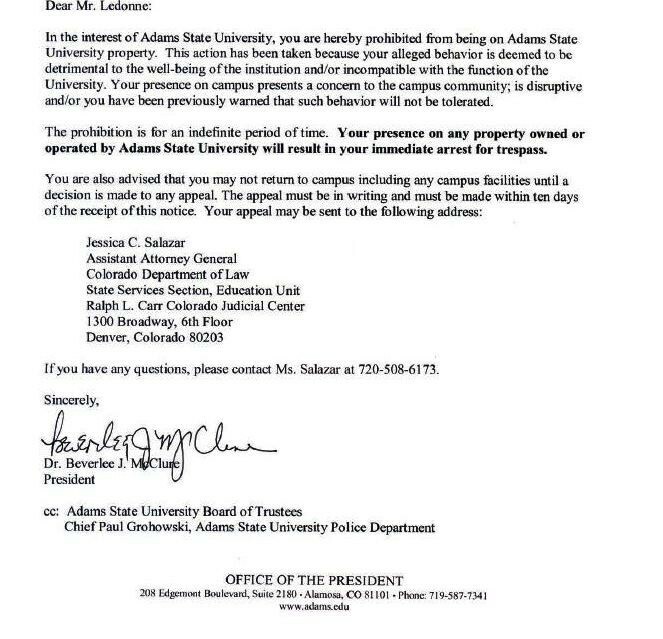 Today, ASU rescinded its “No Trespass Order” and agreed to pay a $100,000 settlement in a lawsuit brought by the American Civil Liberties Union of Colorado. 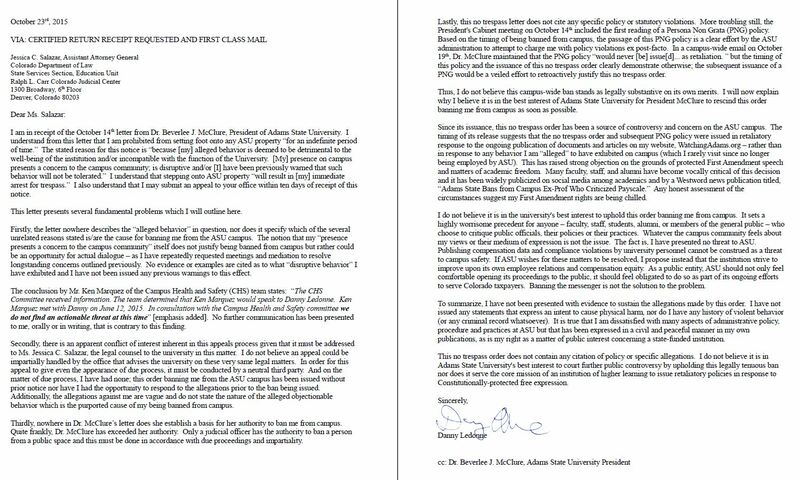 The ACLU argued that the university’s actions had violated LeDonne’s free speech and due process rights. “By summarily banning Danny from a public campus and falsely labeling him a security threat, without providing any opportunity to rebut the false allegations, the university deprived him of due process and unjustifiably retaliated against him for his constitutionally-protected criticism of university practices,” ACLU of Colorado Legal Director Mark Silverstein said in a statement. The order banning him from campus came Oct. 14 of last year, after LeDonne posted a series of articles that suggested the university had violated the Colorado Open Records Act when it responded to a request 40 days late. He also exposed the university’s egregiously delayed paychecks in violation of the as well as the Colorado Wage Act. Later that month, LeDonne also questioned large disparities in salary for administrative versus academic staff. He found that, while athletic and administrative staff made 120 percent or more of industry benchmarks, academic faculty made 80 percent or even less. LeDonne responded to the No Trespass Order in a letter that questioned the lack of due process and absence of a policy violation. In other words, the case never made it to trial. LeDonne expressed triumph, as well as a conviction to continue his work watchdogging Adams State. UPDATED | Lawsuit: Can a city councilwoman in Colorado ban constituents from commenting on her Facebook page?